We never know when life will place challenges in our path. And often, it happens when we least expect it. Alex Powell was a high school senior, a dedicated student, an enthusiastic athlete and a natural leader. His smile radiated confidence and his heart held the dreams that every one of us hopes will come true for those we love. There were no outward signs that the future was anything but bright for Alex. His senior pictures depict a strong, vital young man with his mother’s eyes and his father’s confident bearing. Our lives can be profoundly changed in an instant. And so it was with Alex Powell. A rare, aggressive cancer was growing inside of him. And as Alex contemplated his acceptance at Michigan State University, he knew that his remaining earthly journey would be brief and each day would slowly peel away his strength. 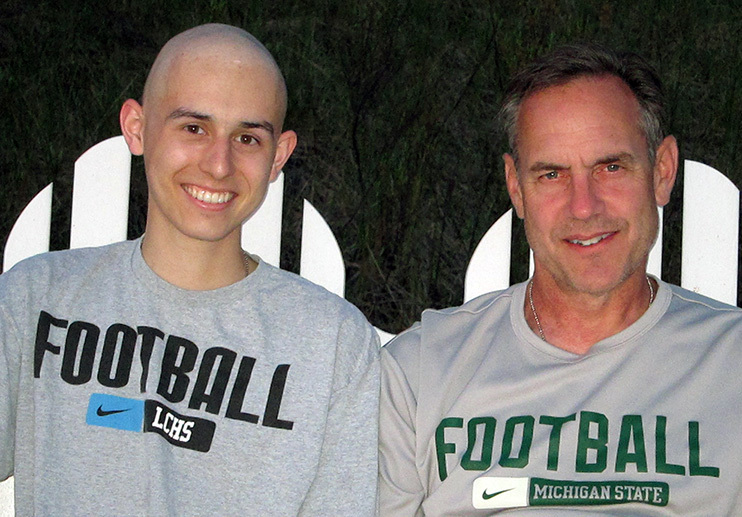 A cancer diagnosis focuses you on making the most of every day and Alex was determined to fully participate in his Spartan experience. As the disease began to take its toll, he turned to MSU’s Resource Center for Persons with Disabilities, at the same time, receiving cancer treatment at the University of Michigan. He discovered that the center served a large student population, all sharing the same desire: to learn and grow despite conditions that some would define as insurmountable. 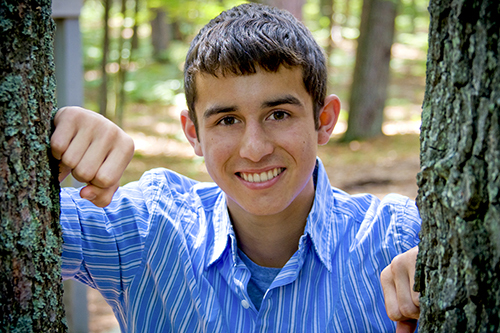 RCPD helped Alex to reap the maximum benefit that an MSU education has to offer. As his physical needs increased, the Center continued to make it possible for him to ponder the mysteries of science, appreciate the beauty of the written word, and to enjoy those activities beyond the classroom that so mix to create a Spartan. Alex never lost his zest for life. He faced its end with courage, humor and a resilience that amazed and inspired all who had come to know him. He also shared the ultimate dream that lives inside each of us: to create a legacy, to leave the world in better shape than he found it. On the Friday before MSU/U-M game day, ROTC cadets from both schools will start at Michigan Football Stadium, culminating the 64-mile trek to Michigan State’s “Sparty” Statue. The race is a living legacy to a heroic young man and supports the organizations that made it possible for him to become a Spartan. These two Big Ten powerhouses are rightly celebrated for their storied athletic traditions and the men and women who continually write new chapters in their history. Alex’s Great State Race reminds us of another powerful dimension; all who have the capacity to learn have access to the finest education possible. Donations in celebration of this symbolic partnership between two elite educational institutions will help support the work of the Resource Center for Persons with Disabilities at MSU and the Office of Support for Students with Disabilities at U-M.
“We’re here when life happens.” That’s how Michael Hudson, Director of the Resource Center for Persons with Disabilities articulates his mission. Ensuring its continued success is Alex Powell’s legacy.